By the mid 1950s, bus patronage was beginning to show signs of serious decline, and the Traffic Commissioners were empowered to grant dispensation for the use of buses with more than the traditional 20/26/30 seats on (what was then called) OMO operation. 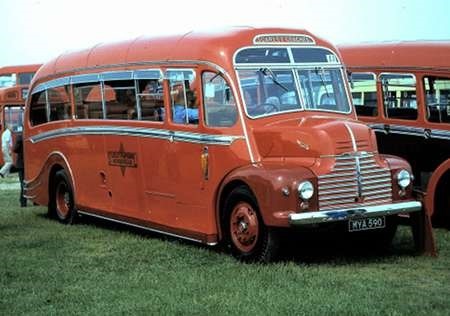 The first large saloons bought by Maidstone & District specifically for OMO were eleven Harrington Contenders of 1955 powered by the distinctive TS3 two stroke engine. Then, having gained experience with the all conquering AEC Reliance on coach duties, this chassis became the firm M&D choice from 1957 for OMO saloon work. 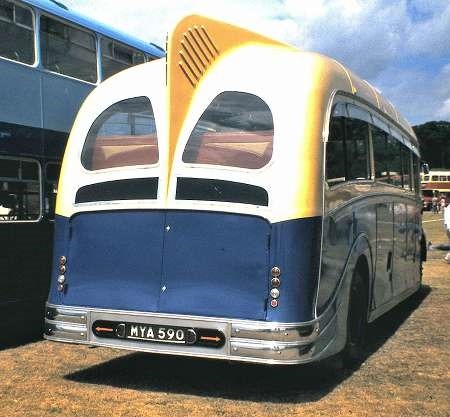 Initially, the selected bodywork supplier was Weymann, then Beadle, before Harrington was chosen to build the bodies on a batch of twenty five in 1958. 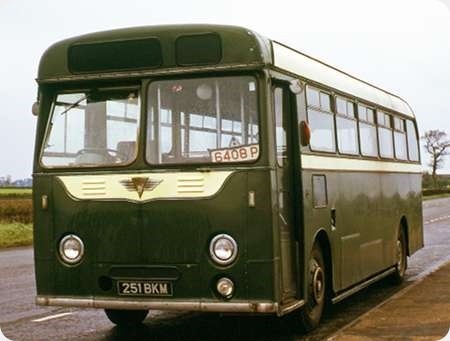 Here is 251 BKM, SO251 in the M&D fleet, seen in July 1973 after disposal to the dealer, Trevor Wilcox Brown, the proprietor of Tillingbourne Bus Company. 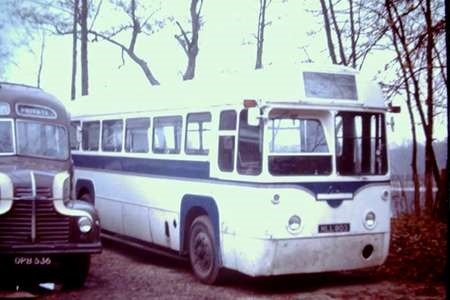 This Reliance, a 2MU3RV model fitted with a Harrington B42F body, was never operated by Tillingbourne, but was quickly sold on to another dealer in Middlewich. I undertook the delivery run from Gomshall to Middlewich, and was impressed by the alacrity with which the machine tackled the hills around Amersham – I always skirted round to the west of the Great Wen – though the top speed was understandably rather modest on the motorway. The picture shows the bus somewhere around the Chipperfield area in Hertfordshire (if my high mileage memory is still functioning). En route on the motorway, I was somewhat disconcerted to find that the accelerator ceased to return to shut down the engine speed, so I pulled in at the next service area and investigated. By lifting up the inspection flaps in the floor, I established that the return action was provided by a simple coil spring linking the throttle rod to a lug on the chassis. The locating loop on one end of this spring had just snapped off, mercifully leaving the remaining part hanging down. I scoured the ground around the lorry park to see what I could find to effect a rudimentary repair and was rewarded by the discovery of a length of rigid but pliable wire. This I managed to force between the last two coils of the broken end of the spring, bent it round to secure it, and then made a loop with the other end before fatiguing off the surplus length (all done with the fingers – I had no tools with me). That bit of Heath Robinson engineering got me safely and uneventfully on to my Middlewich destination. Perhaps the Middlewich dealer sold it on to an unsuspecting operator, who may have run it with your rudimentary bit of wire doing its job, for many years, Roger! A member of this batch, 255 BKM, was sold to Clynnog and Trefor Motoer Services in North Wales, where it lasted for many years. 253 BKM was saved for preservation in 2008 after festering in Somerset for many years. Now safely stored inside "somewhere in Sussex" pending restoration. Reference vehicle S2 this was delivered to Tonbridge depot along with S3-4 and 5, All four from new as we already had S1 also from new. 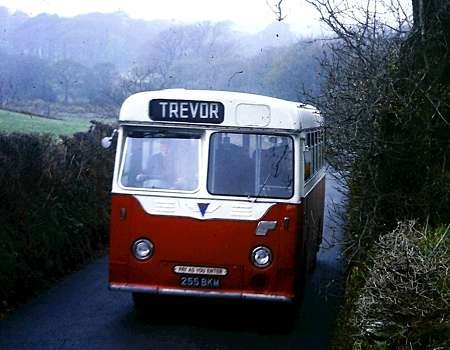 I think that it was probably because the M&D were using the idea of new busses would encourage us drivers to accept larger vehicles on one mam operation. 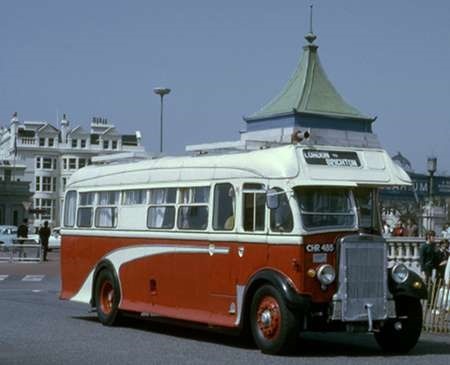 They were right because we were also the first depot in the fleet to accept the use of double deckers on o.m.o. work. If my memory serves me correctly these were Bristols. I was a driver at Tonbridge from 1961 until the closure of the depot. then transferred to Borough Green and then Tunbridge Wells until the mid nineties when I had to retire due to ill health.